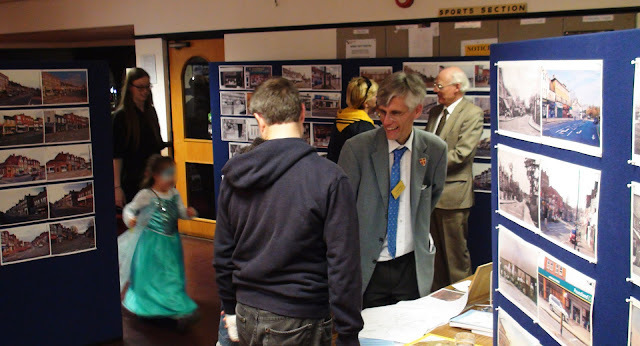 Back due to popular demand, the historical local photos exhibition is on again this Saturday (21st October) from 11am 'til 4pm at the Royal British Legion. 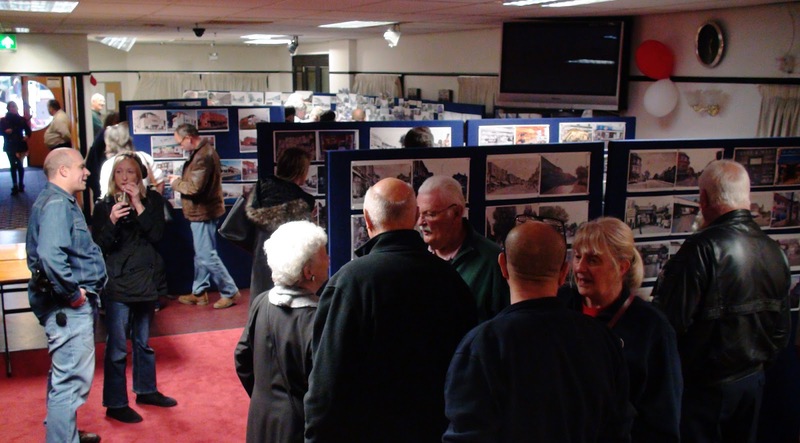 Many readers will remember the first historical photo exhibition at the Royal British Legion back in May (Saturday 2nd) which over 500 people took the time to visit. Whilst I did go along and enjoy this exhibition briefly (and took some shots), this was the Saturday just before the General Election and I was very busy working with Paul Scully and didn't get a chance to also post about it on the blog at the time. "This exhibition will be the enlarged and updated follow-up of the May event, with vintage photos sourced from across our community. Since May, many residents and former residents have got in touch to offer postcards, photos or scanned images. So many in fact, that there will be twice as many pictures on display as last time: A big thank you everyone! At its heart will be local resident, Kay Foale’s collection, who has an impressive collection of vintage local postcards and has added her own photos, taken some decades ago. [Many of the images have never before been publicly displayed]. Alongside and an integral part will be Pets Place owner, Brendan Austin’s ongoing and hugely complex research project into the comings and goings of Worcester Park’s Central Road. Brendan has set himself the extraordinary task of trying to reconstruct and record the changing names of the shops in our ‘high street’, going as far back as the Victorian era. 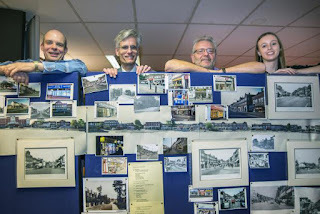 My own contribution has been re-photographing each of the vintage scenes of Central Road, from the same viewpoints, or as close as is possible today. When near matches are possible, it is much easier for the viewer to contrast and compare the changes in each pair of photos, over the intervening decades. Some pairs show a surprising similarity, whilst others show almost no correlation at all. The exhibition will be open from 11am to 4pm at the Royal British Legion in Worcester Park. Entry if FREE and open to all, even if you are not a member. Refreshments will be available." Here are 4 pairs of photos from the exhibition with descriptions from Richard (click photo pairs to enlarge). Today, looking uphill from the bottom of today’s widened Central Road; shops extend into the distance, on both sides of the road. In the Victorian era, the scene was very different, with the local commercial district consisting of a pocket of just six to eight shops. The area has seen extensive change, construction and reconstruction, with shop names and owners having changed many times over in the intervening century and a half. However, curiously, the majority of those few, original Victorian commercial buildings are still standing, and still operating in their originally intended role. Late Victorian and Edwardian postcards show Worcester Park’s Central Road as an idyllic, peaceful and tree lined residential road, that was visibly a joy to cycle downhill (albeit whilst carefully avoiding numerous piles of horse dung!) To capture today’s equivalent photo from the same location was more challenging than it looks, as it entailed standing in the middle of a now notoriously busy road. I took a recent comparison photo early on a Sunday morning. Not only as it was safer, but because it was the only daylight period of the week that I could avoid gridlocked traffic blocking the view! Vintage photos of the top of Worcester Park’s Central Road reveal that during the Victorian era, today’s Central Road was lined by stylish, ornately finished, semi-detached houses with front gardens. Regrettably, today, those attractive residential homes that remained well into the 1930s are all but vanished. And long ago, their front gardens became pavement to accommodate the widened road. However, as I re-photographed this scene, I realised that nestling almost unnoticed between towering neighbours, one pair of those original semi-detached residences are still standing. Happily, these survivors are also in active use as offices. [The y are located between Broadway Bargains and Sainsbury’s]. For much of the post-war era, the dominant piece of architecture at the centre of Worcester Park was the Odeon cinema, which eventually became a supermarket and changed hands and its name, several times. Eventually demolished and subsequently rebuilt as two buildings with multiple uses, ‘spaghetti westerns’ have given way to ‘spaghetti Bolognese’ in the form of a branch of Pizza Express at the front. Meanwhile, the era of the silver screen has been revived, in the form of Worcester Park library’s cinema club, who utilise the rear of the first floor for screenings.